If you’ve stumbled upon our website, that means you’re searching for a company for chimney repair or masonry services . It could be that you’re looking for help sealing up a chimney, completely removing the chimney, repairing broken chimney bricks, or trying to determine where a chimney leak is coming from. If you’re in the Twin Cities area of Minnesota, and looking for someone to come out and handle your chimney repair, I’d like to personally ask you to contact us for a free inspection. Here’s what happens: after the tremendous temperature fluctuations of the Minnesota winters, the first heavy rains come down and allow water infiltration to the new cracks that have developed in your chimney. Minnesota is a particularly rough climate for home exteriors and masonry. Fixing cracked chimneys, identifying the leaks on your chimney, and performing Minnesota chimney repair with quality workmanship is the lifeblood of our small company. Dylan Fredrickson is a Minnesota native, with deep masonry and entrepreneurial roots. 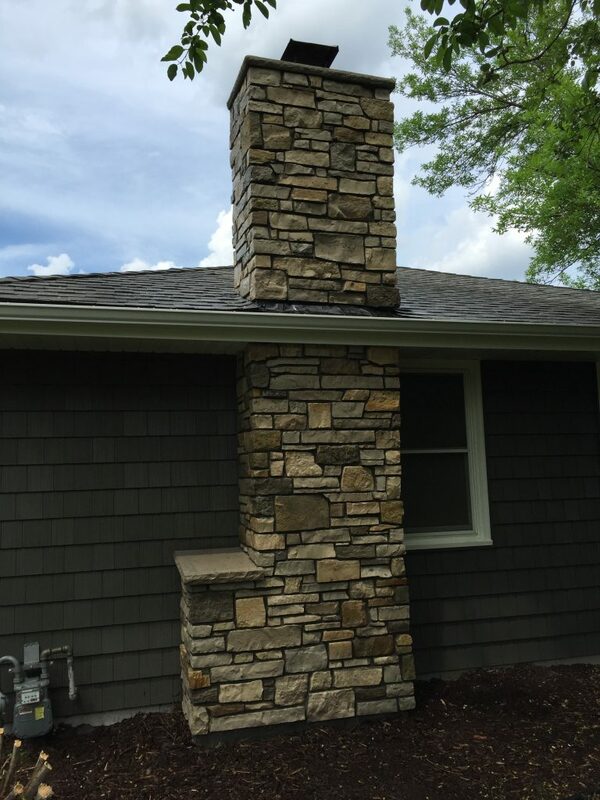 We’d like to think that we’re the best Chimney repair company Minnesota has to offer, but we know that there are dozens of successful competitors. WE’re masons at heart, and we’ll provide a no-cost inspection of your chimney to show you what kind of problems you might have. What we’re starting to see more of, is homeowners deciding to renovate their entire chimney rather than just repair it. Whether you’d like to keep the historical brick of your home, or you’d like to convert it to natural stone, we’d be honored to be the company that helps you out! We’ve been doing masonry and chimney work for almost 20 years, and we’re owned by a Millennial! If you’ve got a home in Minneapolis, please reach out to our team and schedule a free inspection – we’ll jump on the roof and help you figure out what’s going on. One of the most common things that homeowners are noticing, is after the long winter freezing cycle ends, the spring rains start to cause leaking chimneys. If you’re experiencing moisture come through the chimney flue, it’s definitely time to have an inspection of not only the outside masonry and chimney bricks, but an elaborate inspection of the chimney cap, chimney lining, and chimney crown. Are Chimney Repairs Covered by Insurance Company’s?